The phrase “That we shall know with whom we have to do, is the first precondition of having anything to do with another” by Georg Simmel, serves as our point of departure for this reading group and inspires a debate around the various agreements, contracts and relations that accompany and define our everyday life. Contracts, whether explicit or latent, configure the various ways of doing things, but always within minimal conditions: the first of these, whom the agreement is made between; the second, how this agreement is reached; and the third, the contents it covers. To respond to the first, we could say that we would like to establish a relationship with all those people willing to review the terms that regulate our everyday lives and imagine possible new agreement models. How can we do so? By creating a stable reading group that persists over time, in which we will approach the debate from four different perspectives – curatorship, criticism as a literary genre, social theory and contemporary dance and choreography – through a selection of texts that may include essays, legal acts, lectures, poems, prose, articles, news, interviews, films or audio recordings. What will we debate about? About how the definitions of these four areas are configured in specific moments of history, making certain values and forms prevail over others; and about how all of this has given rise to the series of practices that we form part of. “To know with whom we have to do” is an initiative set in motion by Bulegoa zenbaki barik, based on the previous experience with EL CONTRATO, a two-year project in collaboration with AlhóndigaBilbao that was organised into two parts, a reading group and an exhibition. 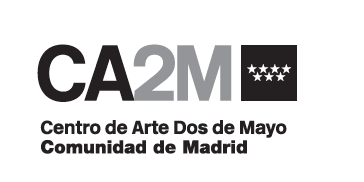 The CA2M sessions will be moderated by Tamara Díaz Bringas in dialogue with Bulegoa z/b, the components of which will form part of the sessions taking place in November and December. Two weeks prior to each reading session, the texts will be sent to the participants. The participation requirement will be to read the texts prior to the session, to be attended with a participative outlook. Dates: 20 November 2014, 4 & 18 December 2014, 8 & 22 January 2015, 5 & 19 February 2015, 5 & 19 March 2015, 9 & 23 April 2015.